It’s Labor Day weekend. While middle America is planning their BBQs and 3 days off, NOLA is prepping for Southern Decadence. The first parade was a group of 15 friends, showing off their costumes by walking through the French Quarter. 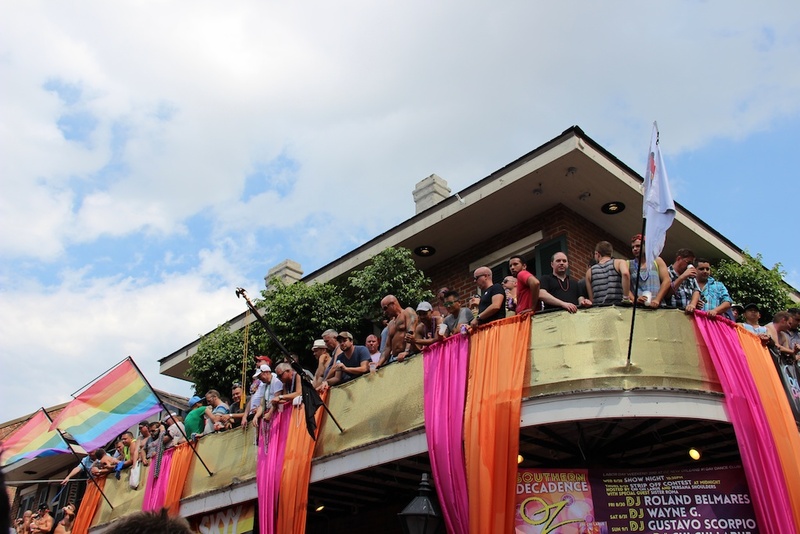 Today, Southern Decadence is a world famous LGBT event, attracting nearly 200,000 visitors to the streets of New Orleans. If you think that Mardi Gras costumes are amazing, you ain’t seen nothing yet. The center of activity is the corner of Bourbon and St. Ann Streets, but be aware that the crowds can be massive, so plan accordingly. If you can only choose one event to attend, the Sunday parade is not to be missed.